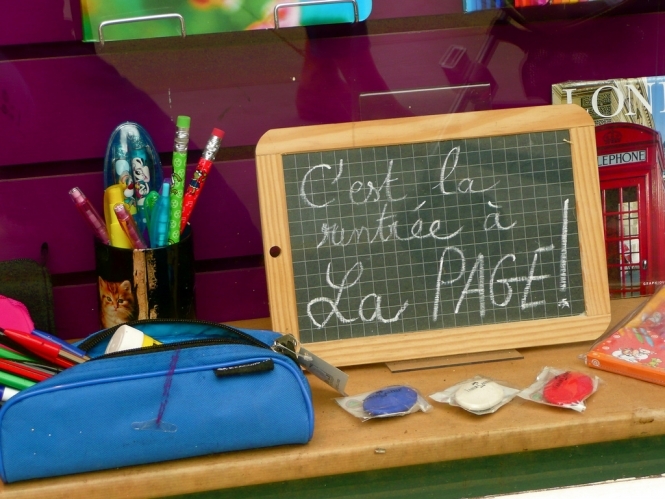 School may be out for summer on Friday afternoon, but the Education Ministry has published its list of back-to-school essentials for primaire, collège and lycée pupils in September. The base list - available as a pdf here - to which schools may add depending the class children are heading into, is intended to keep costs down and reduce the weight of materials in the bags of growing children. Many parents will have already received their rentrée equipment requests from schools. But, beyond this list of fundamentals, teachers must ensure that requests for school equipment remain reasonable and stagger requests over the year. Back-to-school costs take a bite out of household finances. To ensure every child can afford to have the necessary equipment, financial assistance is available to families on more modest incomes. The allocation de rentrée scolaire – money allocated to 2.8million families to help pay for school materials – is paid out towards the end of August. The exact date this year has yet to be unveiled, but it was paid on August 17 last year. The amount this year will range from from €369.57 to €403,48, depending on the age of eligible children. Entitlement is based on household income not exceeding a certain ceiling (less than €24,453 for one child, €30,096 for two children, €35,739 for three). For families that exceed those ceilings by a small amount, reduced payments may be made. It is worth finding out if local initiatives are in place in order to cut costs. The city of Courdimanche (Val-d'Oise), for example, offers school material at lower cost, adapted to different levels, for all students. The low price of the kits is possible thanks to the bulk purchase, carried out by the town hall. The ministry is also asking principals and headteachers to support local initiatives that allow parents to purchase school supplies at reduced cost, such as the "college kit," which contains all the materials college students need and is ordered in bulk to reduce costs.